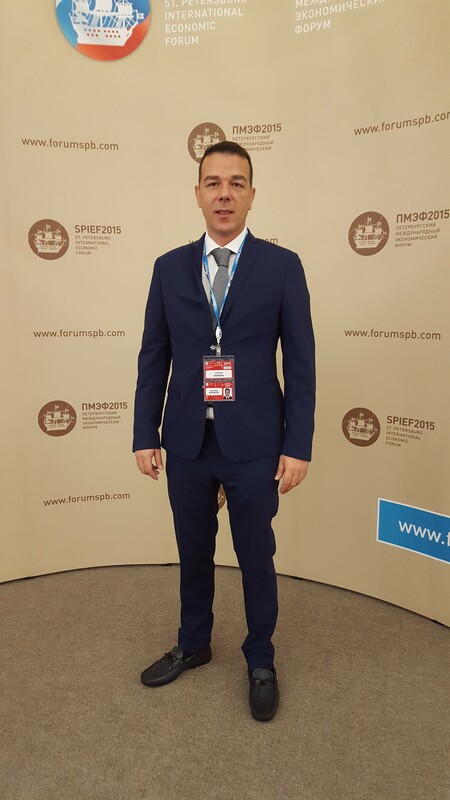 Mr. Kranias Loukas Brand owner of AVANTI FURS returns from SPIEF business forum with very positive results. Mr Kranias,co-owner of AVANTI FURS, returned from ST. PETERSBURG INTERNATIONAL ECONOMIC FORUM held on June 18-20,2015 with positive feedback from President of Russia Mr. Vladimir Putin and Greek PM Mr. Tsipras. SPIEF 2015 proved to be a key event in the global business calendar highlighting the history of the AVANTI FURS brand and the Greek fur industry, Mr.Kranias met prominent figures of the global Commercial sector and conveyed Greek interests for future cooperation. The Forum brought together business, political, academic and media leaders from all over the world to discuss, deliberate, and take action to set the global agenda. The SPIEF 2015 program included discussions on the global challenges facing the world economy, key issues on the Russian agenda, the development of human capital and expertise, and new breakthrough technologies and innovative solutions. The Forum hosted a range of policy and business events looking in depth at the Russian economic agenda and new business opportunities across the Eurasian continent. AVANTI FURS, a leading fur manufacturer and retailer with presence in more than 25 locations worldwide, is active in most aspects of the international fur industry. The company through it’s management and employers has certainly a lot to gain from Mr.Kranias’s attendance of SPIEF in St.Petersburg.